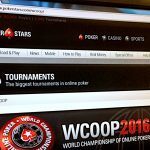 PokerStars gave gamers a sneak peek of its new virtual reality online poker platform this week, at the EuroGamer Expo in Birmingham, UK. PokerStars VR is still in closed beta-testing phase with a release date to be decided, but it was in a sufficient state of readiness to offer expo-goers a fully immersive poker environment with the ability to manipulate chips and cards and throw random objects at your virtual tablemates. PokerStars VR will — at first, at least — be a free-to-play social poker game. 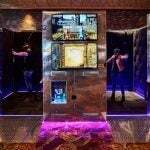 It was developed in partnership with Lucky VR, the company that created the world’s first real-money online casino, SlotsMillion VR, for ALEA Gaming back in 2015. The platform features an in-game camera to facilitate live streaming with players also able to link to their social media channels. 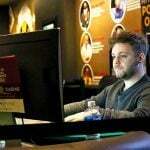 With online poker in stagnation, could virtual reality be a shot in the arm it needs? It certainly has the power to boost engagement in the game and attract new recreational players. Poker lends itself well to VR. Some of the most popular games in VR are “sandbox” style games, where players can reach out and grab and manipulate objects, just like you do at a poker table. 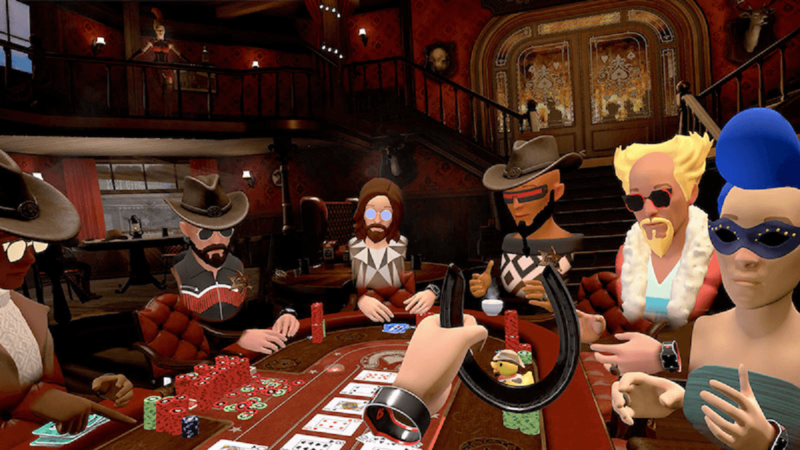 VR also has a powerful social dynamic through the interaction of avatars in virtual environments — and poker is the most social of all gambling games. But player liquidity is also crucial to the online poker experience and thus far adoption of VR hardware has been slow -– largely because the technology is still new and therefore prohibitively expensive. How Long Till Mass VR Adoption? But as Manuel Bevand of the PokerStars Innovation team told PokerNews this week, they’re in it for the long haul. “We’re thinking forward, we’re thinking several years ahead. Right now, the prices of both the Oculus Rift headset and the compatible PC are dropping very fast. When this is going to mature is when the price point is accessible for everybody. That’s the optimistic view. 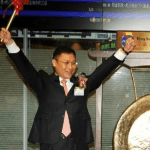 It could be ten years or more before we have mass adoption, but the good news is that the technology will have improved by then — perhaps to the point where we have full telepresence and screen technology that goes beyond the resolution of the human eye. Then we will be truly blurring the lines between live and online poker.